Home / Pantry Items / Hometown Food Favorites / Marshmallow Fluff / Marshmallow Fluff 4.5 LBS. Home / New England Classics / Hometown Food Favorites / Marshmallow Fluff / Marshmallow Fluff 4.5 LBS. 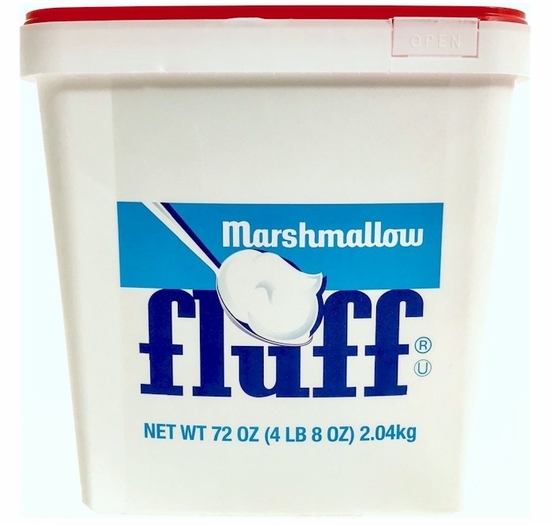 Home / Foods of New England / Hometown Food Favorites / Marshmallow Fluff / Marshmallow Fluff 4.5 LBS. Home / Specialty Grocery / Hometown Food Favorites / Marshmallow Fluff / Marshmallow Fluff 4.5 LBS. Home / Local Portuguese Foods / Hometown Food Favorites / Marshmallow Fluff / Marshmallow Fluff 4.5 LBS. Home / Pantry Items / Global Favorites / Local Portuguese Foods / Hometown Food Favorites / Marshmallow Fluff / Marshmallow Fluff 4.5 LBS. Home / Specialty Grocery / Global Favorites / Local Portuguese Foods / Hometown Food Favorites / Marshmallow Fluff / Marshmallow Fluff 4.5 LBS. Home / Foods of New England / Local Portuguese Foods / Hometown Food Favorites / Marshmallow Fluff / Marshmallow Fluff 4.5 LBS. 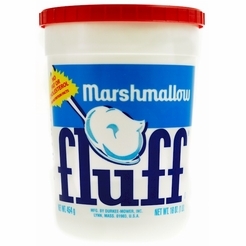 Home / Popular Brands / Marshmallow Fluff / Marshmallow Fluff 4.5 LBS. 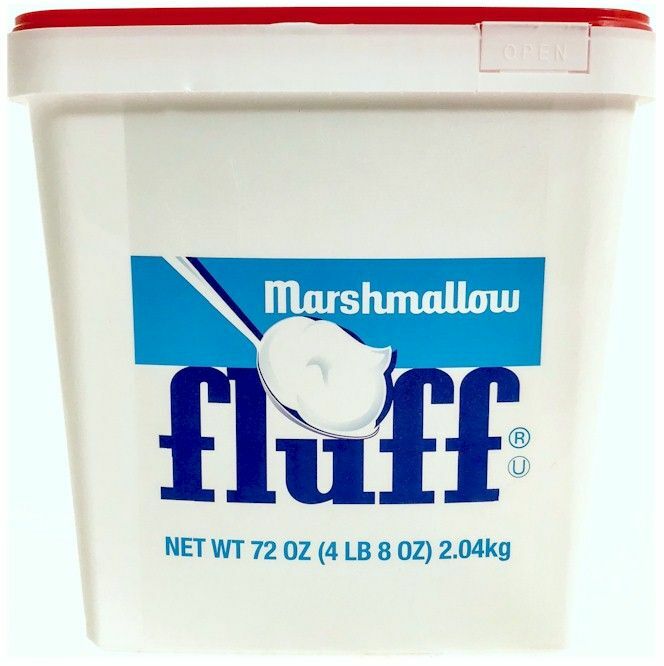 Home / Foods of New England / Brands (New England Favorites) / Marshmallow Fluff / Marshmallow Fluff 4.5 LBS. Home / Pantry Items / Baking & Cooking / Toppings & Fillings / Marshmallow Fluff 4.5 LBS. Home / Specialty Grocery / Baking & Cooking / Toppings & Fillings / Marshmallow Fluff 4.5 LBS. Home / For Kids Only / Kids Sweets & Snacks / Toppings & Fillings / Marshmallow Fluff 4.5 LBS. Home / Hot GIFT Ideas / Small Gift Ideas / Toppings & Fillings / Marshmallow Fluff 4.5 LBS. Home / Pantry Items / Snacks & Sweets / Toppings & Fillings / Marshmallow Fluff 4.5 LBS. Home / New England Classics / Snacks & Sweets / Toppings & Fillings / Marshmallow Fluff 4.5 LBS. Home / Foods of New England / Snacks & Sweets / Toppings & Fillings / Marshmallow Fluff 4.5 LBS. Home / Snacks & Sweets / Toppings & Fillings / Marshmallow Fluff 4.5 LBS. Home / Specialty Grocery / Snacks & Sweets / Toppings & Fillings / Marshmallow Fluff 4.5 LBS. Home / Pantry Items / Breakfast Pantry / Toppings & Fillings / Marshmallow Fluff 4.5 LBS. Home / New England Classics / Breakfast Pantry / Toppings & Fillings / Marshmallow Fluff 4.5 LBS. Home / Specialty Grocery / Breakfast Pantry / Toppings & Fillings / Marshmallow Fluff 4.5 LBS. Home / Foods of New England / Breakfast Pantry / Toppings & Fillings / Marshmallow Fluff 4.5 LBS. Marshmallow Fluff is still produced by the same batch process and celebrating over 100th years - it's the only marshmallow creme made in this manner. It's what makes Durkee-Mower's product so fluffy, white, and smooth; it's what makes the difference. Because Marshmallow Fluff is made only with the finest ingredients under the most demanding sanitary conditions, it requires no artificial preservatives. Make a FLUFFERNUTTER, the sandwich made with marshmallow fluff and peanut butter. Spread one piece of bread with Marshmallow Fluff, spread another with peanut butter. Put them together and what have you got? That delicious sandwich - the FLUFFERNUTTER! Gluten Fee, Kosher. No Fat or Cholesterol. Additional Shipping may be required on this item.